With a combined gross domestic product of over $20 trillion -- nearly one-quarter of the global economy -- the economies of China, Japan and South Korea have colossal potential for synergy, innovation and growth once systematically integrated, economists have said for decades. 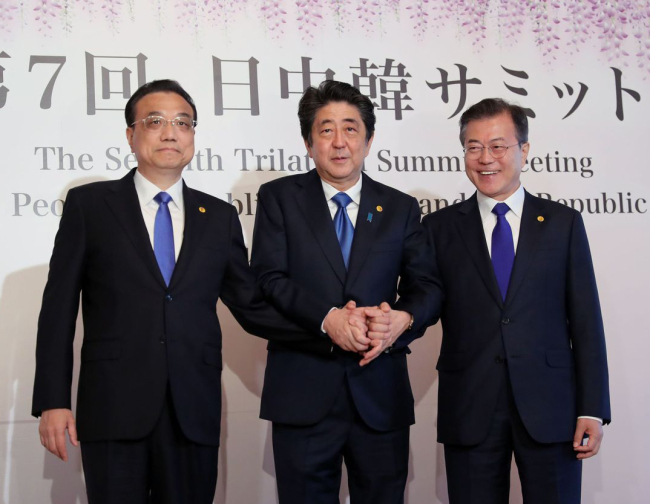 Beijing, Seoul and Tokyo -- together “Beseto” -- are negotiating a trilateral free trade agreement, with the 13th round of negotiations held in Seoul from March 22-23 over trade in goods and services, investment, telecommunications and other topics. A key objective for the deal, given the degree to which the three giants are embedded in regional and global value chains, is to invigorate the flow of commerce across all three economies. To prepare for the “fourth industrial revolution” -- marked by automation, digitalization and convergence of virtual and physical worlds -- they have also supported entrepreneurship and small and midsized companies, which can reduce market polarization, create jobs and offset any adverse effects from the internet of things economy. 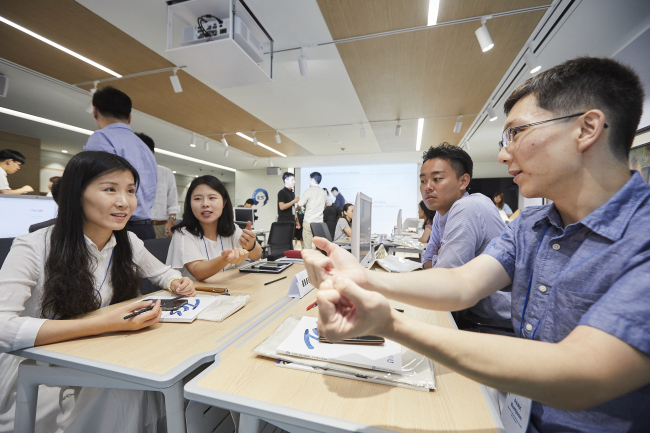 Professionals from the three countries presented collaborative ideas at the inaugural Regenerate China, Japan, Korea entrepreneurship competition in Seoul on Aug. 25. 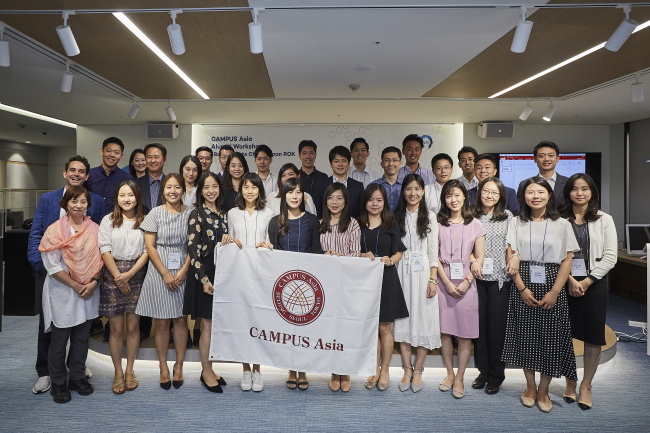 The event was jointly organized by the Trilateral Cooperation Secretariat, the Campus Asia Beseto Alumni Association and former members of the World Economic Forum Global Shapers Community at Beseto hubs. The competition provided a platform for young professionals to work with entrepreneurs and flesh out ideas for socially impactful projects, thereby contributing to regional cooperation. “I think there is still homework left for our generation in China, Japan and Korea to answer questions unanswered by our predecessors. Although much effort has been made to improve trilateral cooperation, there are issues to be resolved and solved, and I wanted to be part of the process,” Kurihara Ryutaro, an analyst at A.T. Kearney and leader of the winning team, said in an interview. Kurihara, working with five partners from the three countries, presented a proposal to tackle gender inequality. Their idea is to offer child-rearing experiences to male workers without children, having them take care of their female colleagues’ children each day for a specified period. The team’s goal is to have the scheme incorporated into firms’ corporate outreach. “As someone who studied public policy through the Campus Asia Program, I’m very interested in social issues in China, Japan and Korea, particularly the gender issues that arise from social norms emphasizing women’s domestic responsibilities. Compared to the global average, our three countries are far behind in gender equality,” he added. The participants’ proposals were evaluated by experts from startups and investors. Lim Hyung-joon, the head of World Food Programme Korea, also offered an international perspective as a judge. “I was inspired by the ideas, especially how they are well aligned with global agendas like the United Nations Sustainable Development Goals that go beyond the immediate concerns of Northeast Asia,” Lim said. In September 2011, Beijing, Seoul and Tokyo launched the Trilateral Cooperation Secretariat in Seoul for the purpose of promoting peace and political and economic cooperation between them. The institution’s secretary-general is appointed on a two-year rotation. The current chief is Lee Jeong-heon of Korea and he is assisted by deputies Han Mei of China and Yamamoto Yasushi of Japan. The three governments also share their operational budget equally. The entrepreneurship scenes in China, Japan and Korea differ greatly. The startup scene is most vibrant in China, where students are eager to take risks with their education and enter uncharted territory in hopes of becoming the next Jack Ma or Robin Li. “Beijing is not only the administrative and political capital, but very much leading the way in entrepreneurship and technology with large-scale private investments and state support,” comprehensive educational firm Due West, based in China and Singapore, told The Korea Herald. The Chinese government is intent on leading the world’s artificial intelligence, blockchain, cryptocurrency and other high-tech industries, it added. In Japan, the climate for starting a new business has warmed up, as the world’s third-largest economy has clawed its way back from the 2008 financial crisis and a longer-running stagnation, largely driven by the “Abenomics” economic policy of monetary easing, fiscal stimulus packages and structural reforms. The Mothers Index of Tokyo Stock Exchange, which measures investors’ enthusiasm for high-growth startups, has seen steady growth since 2012, but experts say Japan’s conservative corporate culture, lack of funding and inflexible labor market remain challenges. In Korea, despite its high-speed internet and widespread wireless penetration, the startup scene has been languid due to bureaucratic, language and cultural barriers as well as young people’s lack of motivation. Industry experts say the nation’s tech industry lacks a crucial dimension found in Silicon Valley or Singapore: diversity. Korea’s rigid and draconian labor laws have burdened businesses of all sizes as well. In recent years, the Korean government has increased support for foreign entrepreneurs in an effort to diversify the local startup scene and help its own firms internationalize. The K-Startup Grand Challenge, which offers foreign contestants free flights, office space, stipends and cash, attempts to attract talent from abroad to start businesses in Korea. Following the Asian financial crisis of the late 1990s, China, Japan and Korea began cooperating more closely with the Association of Southeast Asian Nations, becoming part of “ASEAN Plus Three” in 1997 and striving to foster East Asian regionalism. In addition to economic collaboration, the group also works together on social issues, energy, agriculture, tourism and various other issues of mutual concern. To deepen this partnership, trade talks on starting the Regional Comprehensive Economic Partnership free trade agreement were launched involving ASEAN, China, Japan and Korea as well as Australia, India and New Zealand. The governments of China, Japan and Korea began talks for their own trilateral FTA at the 21st ASEAN conference in November 2012, and have held meetings in rotation. But historical and territorial disputes have hampered cooperation among the three. The three governments have held seven trilateral summits since the first one in Fukuoka in December 2008. The last, in Tokyo on May 9, gathered Japanese Prime Minister Shinzo Abe, Korean President Moon Jae-in and Chinese Premier Li Keqiang, who discussed ways to strengthen intergovernmental policy consultations and expand trilateral cooperation in a wide range of fields such as diplomacy, politics, economic and social issues, and sustainable development. “We recognize the importance of free and open trade and investment in achieving growth. We remain committed to liberalizing our economies, fighting all forms of protectionism and improving business environments through our commitment,” the three said in a joint statement following their summit. Stressing that the trilateral FTA is crucial to deepening the three economies’ integration and trade and investment liberalization, the leaders said their governments will make greater efforts to accelerate negotiations on the accord, as well as the Regional Comprehensive Economic Partnership. Despite ongoing historical and territorial disputes, the three “might have felt compelled to engage in a collective hedging” against Washington’s aggressive trade policy, said Jo Yang-hyeon, a professor at Korea’s Institute of Foreign Affairs and National Security.